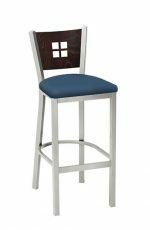 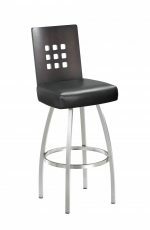 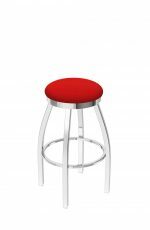 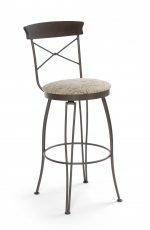 Metal with wood bar stools create a beautiful contrast in any home. 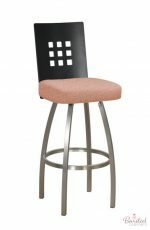 Usually, the metal is on the frame and the wood accompanies another part of the stool, either on the back or the seat. 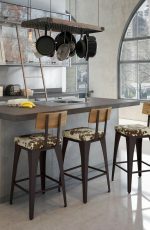 This style is common in modern kitchens and country kitchens, and depending on the colors chosen, just about anywhere. 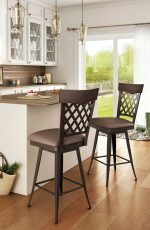 For example, if your cabinets are cherry red, match the wood on the back of the stool to the cherry stain on the cabinets. 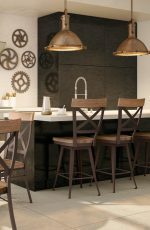 The metal frame can complement the hardware on the cabinets, light fixtures, or any other metal fixture in the room. 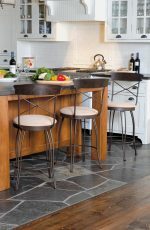 If you have an island where you plan to place your stools, you can coordinate the metal color of the stool to the countertops for a great look. 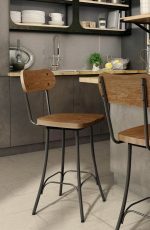 Many steel finishes match colors in granite or stone. 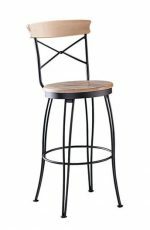 Of course, metal with wood bar stools look great in any room that features metal and wood decor. 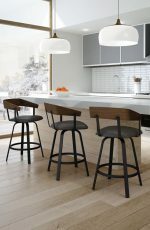 If the cabinets are wood or if there is metal hardware such as drawer handles and lighting fixtures, these stools are a natural fit. 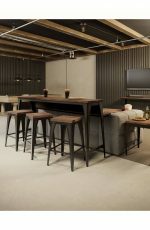 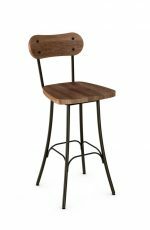 They also go nicely with wood bars, because the metal on the stool breaks up the bar’s wood to create a two-toned effect. 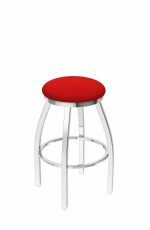 These stools typically come with padded or wood seats and in our custom lines such as Amisco and Trica, you can choose your fabrics and metal colors. 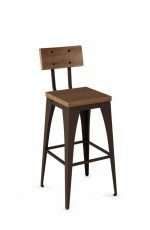 Yes, even the wood stains! 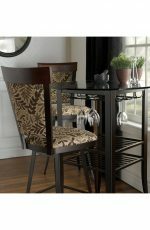 Keep in mind that you don’t have to match everything, but rather create a sense of complement and contrast. 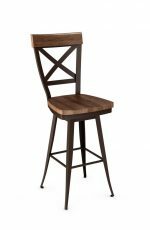 This will give a fine, timeless balance to the room. 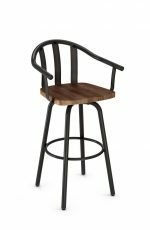 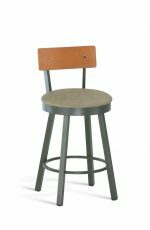 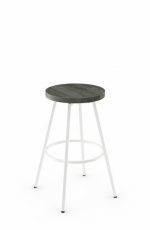 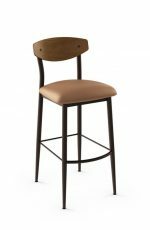 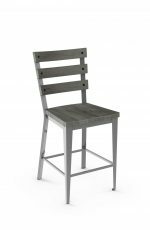 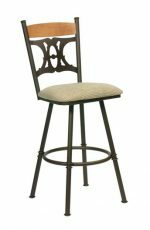 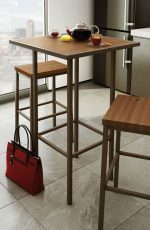 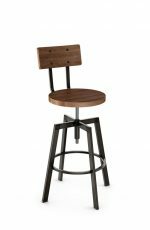 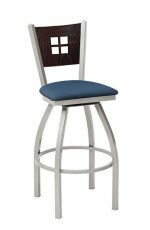 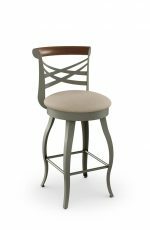 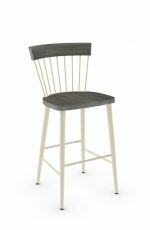 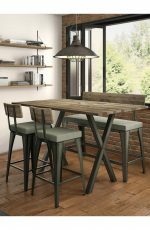 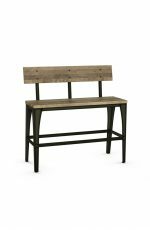 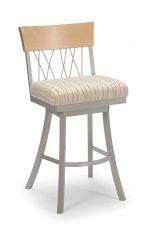 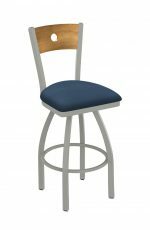 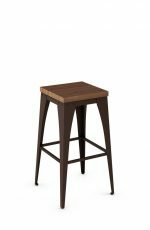 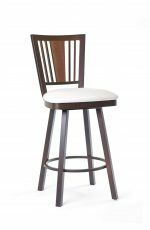 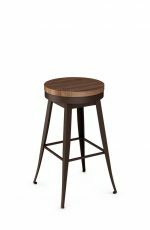 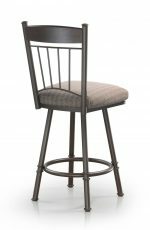 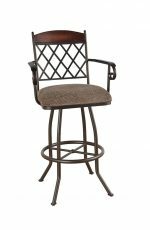 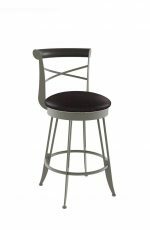 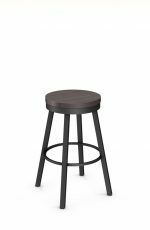 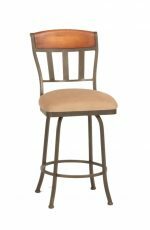 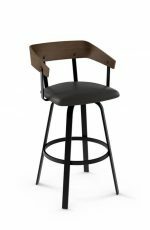 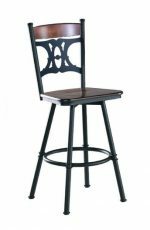 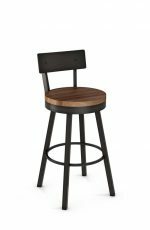 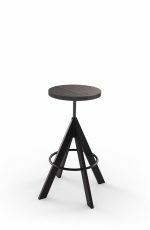 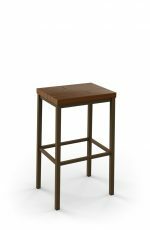 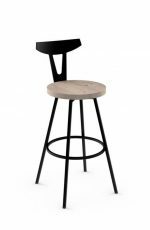 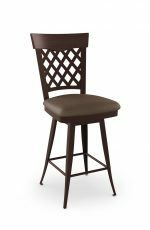 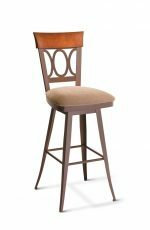 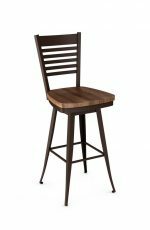 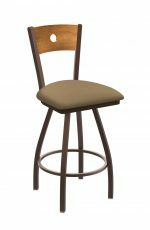 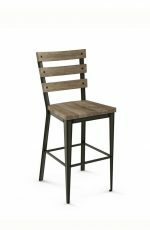 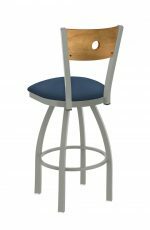 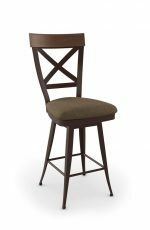 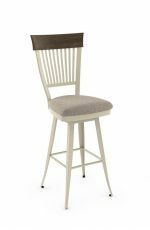 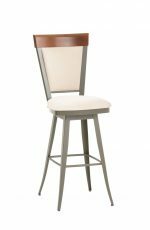 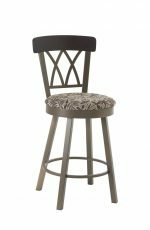 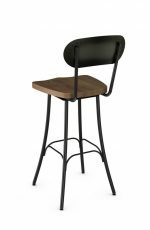 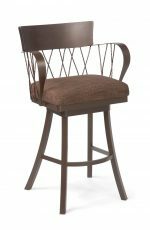 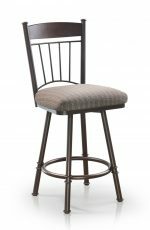 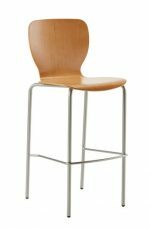 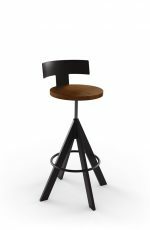 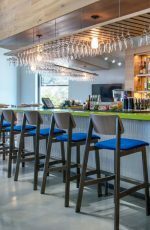 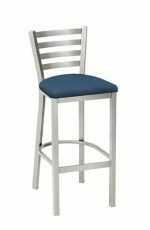 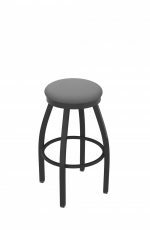 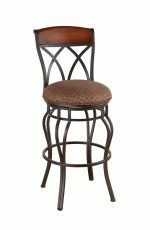 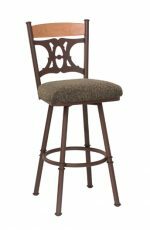 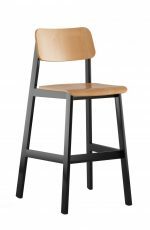 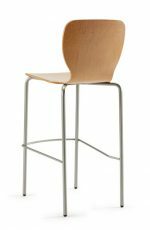 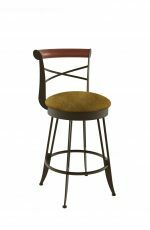 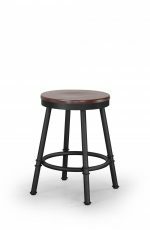 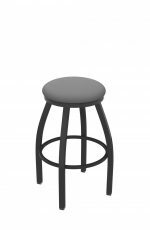 Metal with wood bar stools come in a variety of styles including Traditional (the most common), French Country, and even Modern. 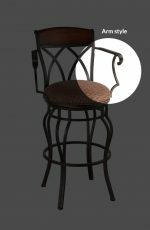 You can choose to add arms or go armless. 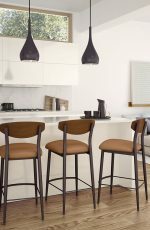 If you struggle to match your home’s wood with the stools’ stain, you can request unfinished stools. 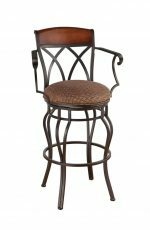 Although these aren’t always available, we will do everything we can to find them for you! 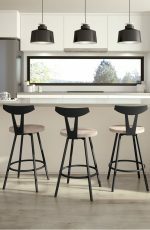 Once you have your unfinished stools, you can go to any paint store with a sample from your home — usually a cabinet door or a drawer — and they will mix an exact match. 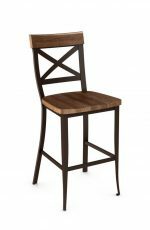 If you decide to stain your own furniture, remember that the type of wood affects how the stain appears. 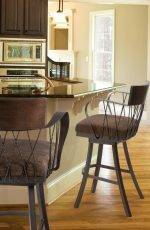 If your cabinets are made of oak, for instance, the stain will show up differently than on maple wood. 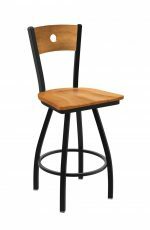 Various types of woods take stains differently so first try the stain on a test area of the stool to be safe. 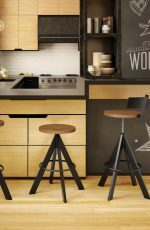 Another option is to order a black wood stain, which goes with black appliances and just about everything else. 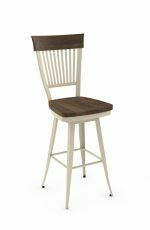 Some people prefer wood seats over padded seats because wood seats are easier to clean — just wipe them down. 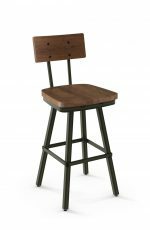 Padded seats can stain and won’t stand up to as much wear and tear as a plain wooden seat. 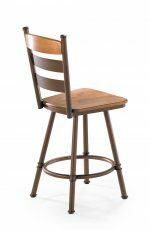 For some people, wood seats are just as comfortable as padded seats. 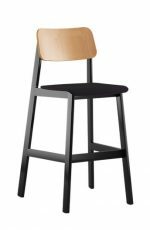 Again, it’s all a matter of preference. 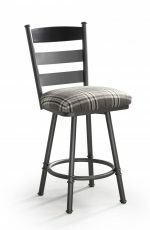 However, there’s no need to rule out padded seats because they’re actually easy to clean. 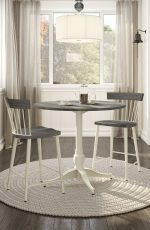 To wash them, just use water and a mild soap, such as dish washing liquid. 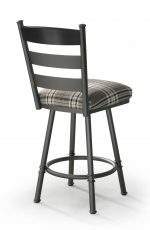 All of the fabrics we offer are treated with Scotchgard™ for extra protection. 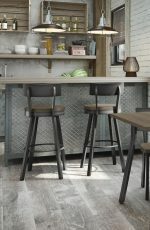 Let us know if you have any questions and feel free to send us a picture of your kitchen or home bar. 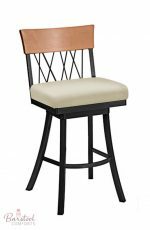 We’re always happy to give you suggestions based on your style and preferences. 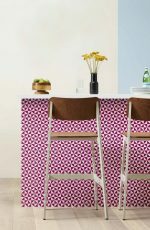 Happy browsing!